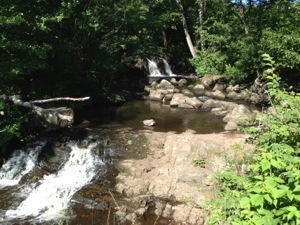 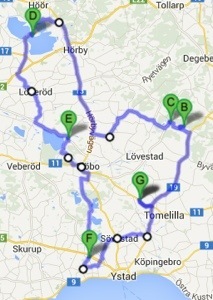 Our first stop (B) was at a waterfall and mill, Hallamölla. 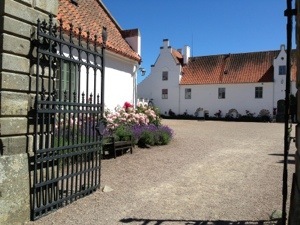 The rest of the day we’ve spent visiting castles. 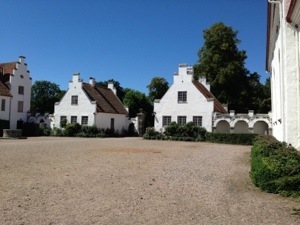 First off was Bosjökloster castle (D). 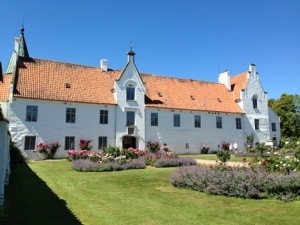 It used to be an abbey and then in the Middle Ages it turned into an castle. 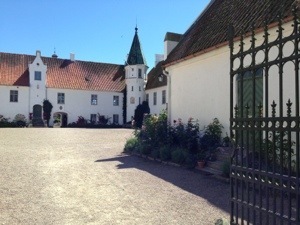 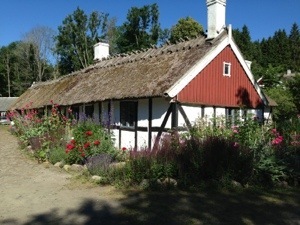 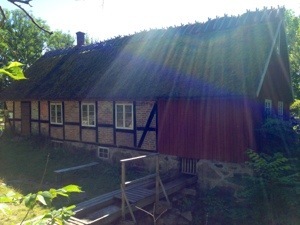 Next was Övedskloster castle (E). 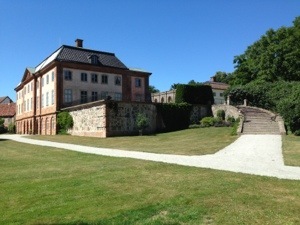 And last we visited Marsvinsholms castle (F). 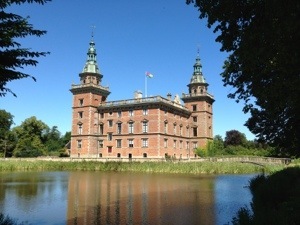 All castles are private homes but the first castle had many areas open to the public whereas the last two only allowed for walking in the gardens. 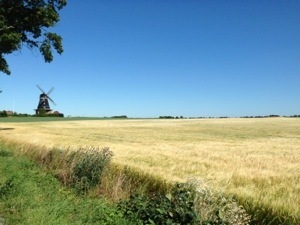 On our way back to the B&B I captured a nice picture of a mill and fields.